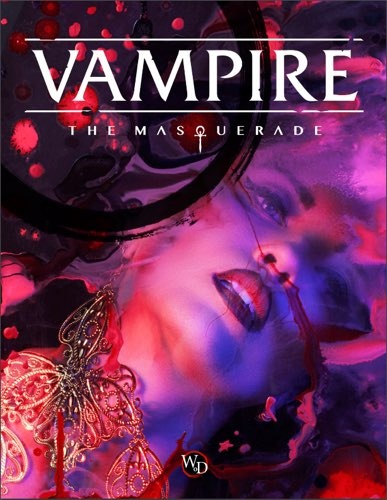 Vampire: The Masquerade is the original and ultimate roleplaying game of personal and political horror. You are a vampire, struggling for survival, supremacy, and your own fading humanity—afraid of what you are capable of, and fearful of the inhuman conspiracies that surround you. As a vampire you suffer the pangs of the Hunger, the relentless and terrible thirst for human blood. If you refuse to deal with it, it will overcome your mind and drive you to terrible acts to slake it. You walk this razor's edge every night. Dark designs, bitter enemies, and strange allies await you in this World of Darkness. The classic that changed roleplaying games forever returns! This fifth edition features a streamlined and modern rules design, beautiful new full-color art, and a rich story experience for players. 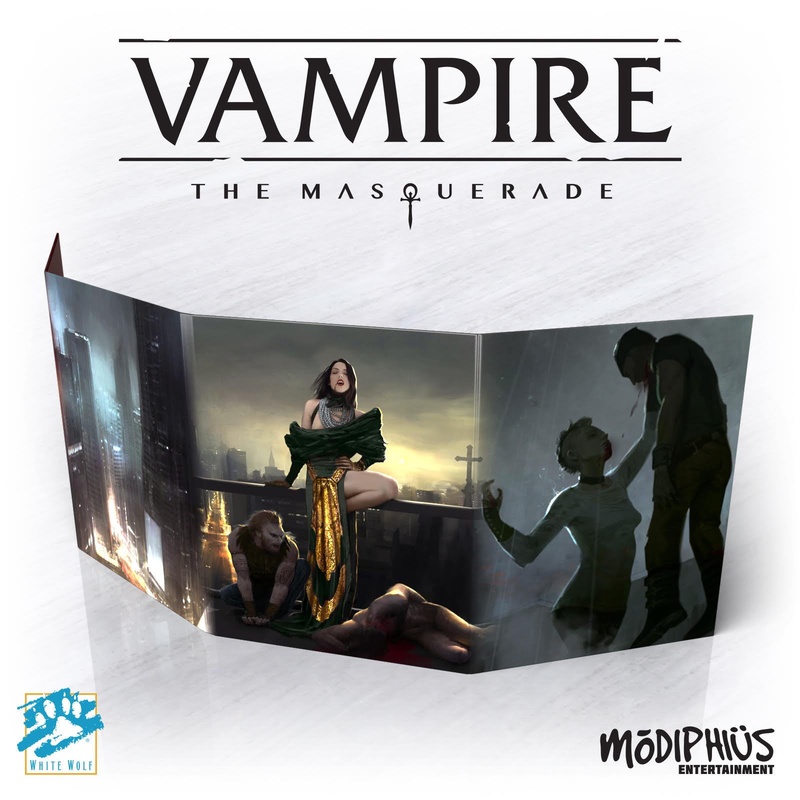 Powered by the innovative Hunger cycle, the game also includes rules for creating system supported character coteries, Loresheets to directly involve players with their favorite parts of the setting and The Memoriam, a new way to bring the character's detailed backgrounds and expand on them in-session.